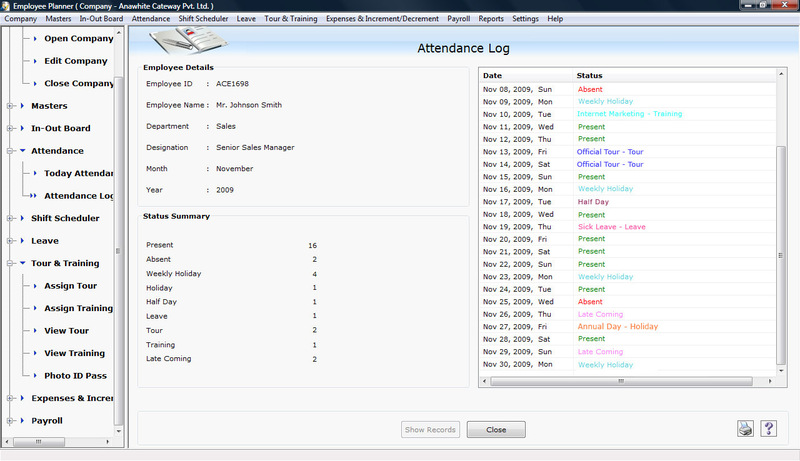 Employee planner software is developed to manage and schedule overall activities of your employees. No matter whatever your business, advanced staff management tool helps you to create and maintain your company employees’ schedules in easiest way. Employee scheduling program easily maintains staff shifts details, in/out time, tour and training details along with the complete payroll details. 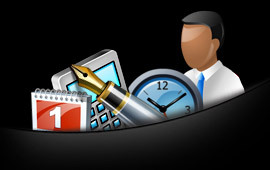 This staff scheduling software is useful for all small to large sized business organizations to maintain day to day work schedule of employees. Employee scheduling software easily manages multiple company employees’ details and payroll details at one place. 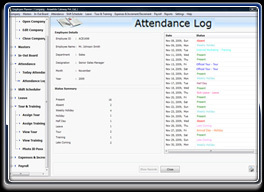 Advance staff management utility easily manages day to day attendance records with entire details of every employee including present, absent, late, overtime, holiday etc. Software easily manages leave details of your employees (casual leave, sick leave, paid leave) according to leave policy defined by the company. Staff planning software easily manages tour and training details of your employees and also provides facility to generate pass to go for tour and training purpose. Employee scheduler software easily maintains and tracks complete payroll details of your employees. Software easily maintains in/out records of your employees that helps you to know who is in or out from the office along with date and time. Employee planning and scheduling software easily shift records of employees with complete details of shift time, duration and days without any scheduling conflict. Download freeware software demo to better understand features and working capabilities. Place order to get full featured software licensed version at cost-effective price.